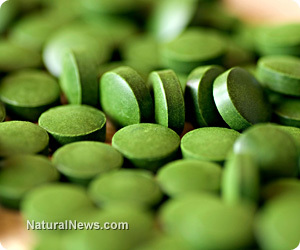 (NaturalNews) There have been studies under the radar of public awareness or mainstream media disclosure demonstrating chlorella's ability to improve diabetic symptoms. It's certain that very few MDs know of these studies. It seems that the wonders of this single-cell microalgae superfood continue to surface. Chlorella has demonstrated several immune system benefits, detoxification benefits, liver health enhancement, and even anticancer activities. Now it looks like diabetes 2 and prediabetic or metabolic disorder individuals can address those issues directly with chlorella while enjoying all the other benefits this centuries-old, fresh water, green microalgae can offer. All of these situations can be improved with chlorella consumption. A study from Seoul, South Korea, published in a 2009 edition of Nutrition Research and Practice used two types of rats. One type had diabetes type 2 and the other type was normal. Both types were subdivided into three groups according to the percentage of Chlorella vulgaris in their diets: 0 percent, 1 percent and 5 percent. After measuring several markers in all sets of rats, the researchers decided that their study provided enough positive information about chlorella's ability to reverse high blood sugar, or hyperglycemia, without pushing the pancreas to produce more insulin. Another Korean study with Chlorella vulgaris and rats (chlorella is popular in East Asia) took two sets of rats separated by diets. One group was fed a normal diet, while the other was fed a high fat diet. Then those groups were subdivided further into no chlorella, 5 percent chlorella and 10 percent chlorella in their diets for nine weeks. "In conclusion, 10% Chlorella intake was more effective for blood glucose regulation than 5% Chlorella intake in rats fed a high fat diet. Chlorella intake may prevent insulin resistance in Wistar rats fed a high fat diet." Well good for the rats. But what about we humans? Here's a study that promotes human use. This study was conducted in Taiwan. Again, rats were used, but this time some rats were fed fructose-rich chow and then fed chlorella. Perhaps this was to mimic the high HFCS processed food diet that has taken over most industrialized regions. Even with too much fructose, the rats fed chlorella fared well. These studies demonstrate the potential for using chlorella to prevent or diminish insulin resistance and high blood glucose issues, even diabetes type 2, while enjoying chlorella's detoxification and immune-boosting dynamics. Remember, chlorella is a food, not a synthetically derived supplement. Anywhere from 3 to 5 grams intake daily is recommended for generally improving health, while more may be added for intensely therapeutic purposes.